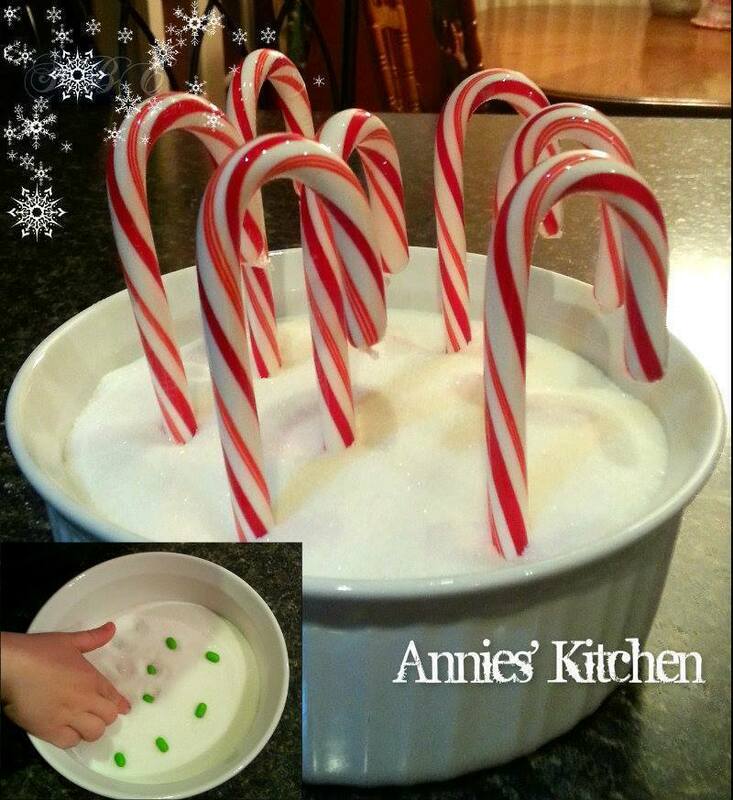 Wanna do something magical for your kids during the Christmas season? Grow some candy canes!!! The elf on the shelf brought my son the seeds yesterday morning, with a note telling him they were magic beans and not to taste them, or they would be ruined, and plant them in sugar at night time for a surprise in the morning!!! Fill the bowl with sugar and have your child press the seeds into sugar, making sure they are covered. When they go to bed, remove the seeds and place candy canes in the bowl standing up. Make sure to get rid of the seeds!!! For some extra fun get some mini candy canes and use them before the big ones! Your children will be AMAZED!! !